The NETGEAR Modem Router D3600 with dual band technology provides WiFi connectivity throughout your home for all your Internet-enabled devices. It also has GIGABIT wire, which makes it Ideal for HD gaming &WAN for fibre connections and NETGEAR genie®manager for easy installation and home network management. You’ll enjoy its ultra-fast speed, reliability, secure wireless Internet connections and QoS technology that enable applications such as smoother HD video streaming and low-latency online gaming. Dual Band WiFi provides two separate WiFi networks 2.4GHz for legacy devices and 5GHz which is less interference prone for media streaming. One can also benefit from the unique capabilities of the NETGEAR genie® app. The user-friendly NETGEAR genie, already enjoyed by more than 5 million NETGEAR customers worldwide, is your personal dashboard that makes it easy to install, monitor, control and repair your home network. You can easily access your home network, view the network map, check bandwidth usage, block WiFi devices, set up guest WiFi, and manage parental controls for safer web surfing, anytime, anywhere, all this through one app. The NETGEAR MyMedia™ feature enables you to find and play your stored media files from anywhere on your network to your DLNA®-ready TVs and music system. You can also make any printer AirPrint® compatible for printing from an iPad or iPhone. You’ll find that the genie user interface adapts automatically to the screen size of your iOS or Android smartphone or tablet to provide an optimal viewing experience. 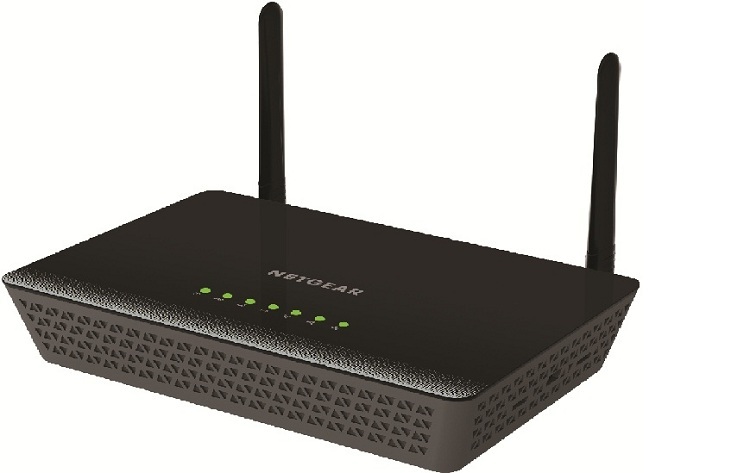 Furthermore, the NETGEAR D3600, Modem Router, comes with features like parental control, which enables web filtering for all your connected devices and Guest Network Access which shares a separate & secure access for guests. Priced at INR 12,000/- and warranty of 2 years, NETGEAR D3600, Modem Router,is available with NETGEAR’s authorized distributors in India.